Imagine a world in which country health systems are able to promptly prevent, detect, and respond to global health threats. Imagine the rapid containment of outbreak threats like Ebola and the elimination of pandemics like HIV/AIDS. In a globalised world with porous borders and frequent travel, an infectious disease threat in one region can pose a threat everywhere. In light of the recent Ebola outbreak in West Africa and an increasing recognition of the influence of international interconnectedness on population health, a call to action for achieving such a vision has emerged. An intrepid new approach, the Global Health Security Agenda (GHSA), has been mobilised to heed that call. Launched in 2014, the GHSA is the result of a coordinated commitment among countries, international organisations, and nongovernmental regional agencies to keep the world safe from dangers such as infectious diseases. Already adopted by 44 countries, the GHSA guides the implementation of health security improvement activities based on a prevent-detect-respond framework1. In October 2015, health officials representing over 20 African countries, brought together by ASLM and the World Health Organization’s Regional Office for Africa (WHO AFRO), issued the Freetown Declaration at a high-level consultation meeting in Sierra Leone, pledging to support functional tiered laboratory networks and the implementation of a score card assessment tool to evaluate laboratory network functioning. The Freetown Declaration, which calls for the integration of laboratory networks disease surveillance systems with public health institutes, demonstrates African support for GHSA goals2. Key to many GHSA activities are medical laboratories, which play an indispensable role in efforts to prevent, detect, and respond to infectious disease cases. Laboratories are not only crucial to assure accurate disease diagnoses, but also perform operations to reduce the risk of global health threats, combat antibiotic resistance, and improve disease surveillance. A key role of ASLM is to raise awareness and advocate for the crucial—but often overlooked—role of laboratories in conducting epidemiological research and disease surveillance activities. ASLM champions the cause of medical and research laboratories at public forums and key stakeholder meetings, emphasising that the role of the laboratory extends far beyond diagnosing individual cases. 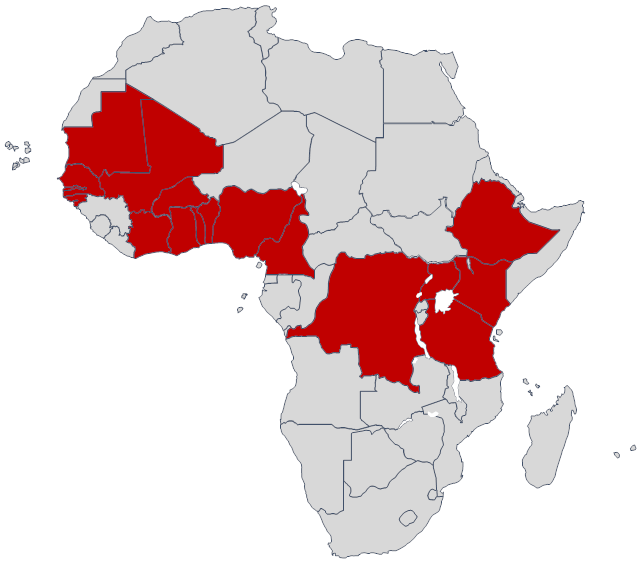 ASLM not only supports laboratory advocacy activities, but also connects African countries and regional organisations together to promote collaboration and information exchange. ASLM’s approach incorporates the following actions: creating policy and technical documents to build an evidence base for laboratory advocacy and planning efforts; supporting proper laboratory documentation, data collection, and monitoring and evaluation; and providing meeting spaces for the exchange of Africa-specific best practices and solutions to health system challenges. Through close collaboration with WHO AFRO, local Ministries of Health (MOHs), and implementing partners such as national public health institutions, ASLM works to ensure the integrated application of laboratory-oriented activities across the continent. Local work focuses on establishing functional tiered laboratory networks and strong specimen referral networks, guided by a new laboratory network assessment scorecard. ASLM also provides guidance on the regional strengthening of diagnostic regulatory processes, and aids coordination efforts to determine roll-out plans for diagnostic tests in the region. As robust international health security work expands across Africa (see Figure 1), the multi-sector efforts show that Africa will be a leader in implementing the GHSA framework.